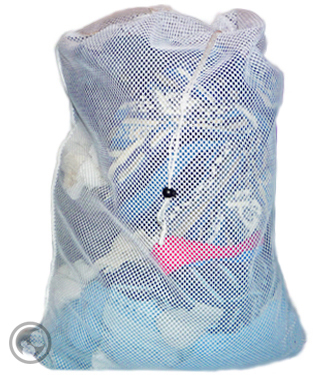 Mesh Laundry Bag with Drawstring, Color: White - Size: 24" x 36"
Our long lasting, high quality, super mesh laundry bag has a roomy interior, locking drawstring and double-stitched seams for added duribility. The weave is spun extra tight so it won't easily fray. These mesh bags weigh a whopping 9 to 10.5 ounces while the typical mesh bag weighs only 6.0 ounces. Each bag can hold 40-45 lbs. and measures 24 inches wide by 36 inches long. 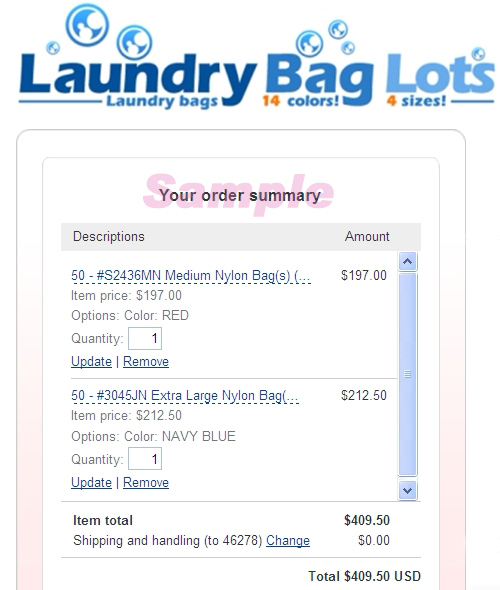 Recommended all mesh bags be washed separately to soften and tested for color-fastness before using. Wash warm water, tumble dry med-high heat. Slight shrikage may occur.